Those following the world of photobooks very closely might be aware of Paul Schiek and TBW Books. Or maybe not. Given photobook making has become so popular, the number of publishers has grown at a rate that makes it hard to keep up, especially if (like me) you’re not going to each and every photobook fair. TBW Books is one of those publishers that I’ve always thought deserved a bit more attention (you might remember my 2008 interview with Schiek). I will admit I have a weakness for those who really believe in something and who then make it happen, doing whatever is necessary. Schiek is one of those people. 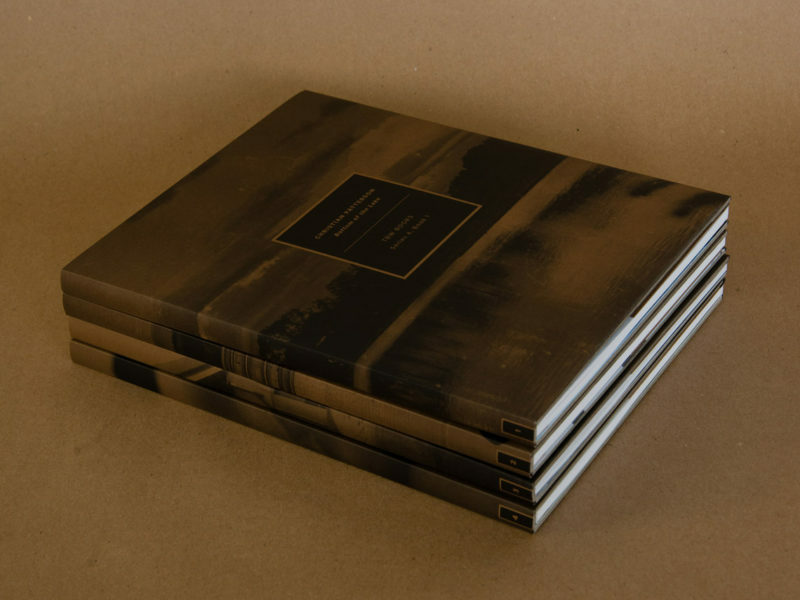 When graduating from art school, he decided to make a book of his photographs. And things took off from there. Soon, there was the first set of books from newly established TBW Books, four books, which you would buy via a subscription. You pre-pay, and once the books are done, you’ll get them in the mail, one at a time. 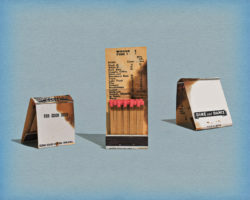 The books in a series are all produced the same way; and across the series the books have centered on the idea of having an artist make a book out of something that would not have made it into a book elsewhere: Outtakes, experiments, something unusual… Schiek has the books produced locally, overseeing each and every aspect of their production. They emerge from the intersection of his vision and from the fact that financial resources are not infinite. This is, I’m happy to argue, the perfect spot: Restrictions, after all, fuel creativity. The fourth of the subscription series is now available. The price, $150, might confuse people at first. A single book for $150 would indeed be pricey. But here you get four books (of size 9″ by 11″, or 23cm by 28cm), meaning it’s less than $40 per book, with each book made in the US (and thus not printed cheaply elsewhere). I’m a subscriber, and I asked TBW to ship me all the books at once, so I can write about them here. As in the earlier series, there are four photographers: Alessandra Sanguinetti, Christian Patterson, Raymond Meeks, and Wolfgang Tillmans (they’re going to be shipped in the order Patterson, Sanguinetti, Meeks, Tillmans). In the following, I’m going to talk about them in order of preference (needless to say, your order might be rather different). 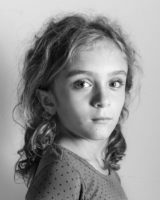 For me, the stand-out book of the four is Alessandra Sanguinetti‘s Sorry, Welcome, a portrait of her blended family, which comprises her partner, photographer Jim Goldberg, and two daughters. Photographed in black and white, for the most part in the confines of the family’s apartment, the book lovingly shows snippets of their lives, without ever falling into the trap of sentimentality that occasionally overshadows some of Sanguinetti’s other work (in particular in The Adventures of Guille & Belinda). Raymond Meeks‘ Erasure also is introspective, albeit in ways a little different than in the artist’s previous bodies of work. 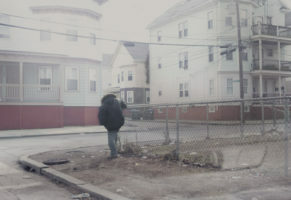 Having relocated to Providence, RI, Meeks trains his camera on the new surroundings, catching the city in bleached-out colour, with the occasional b/w picture thrown in for good measure. The book left me with the same feeling I have in most New England towns when it’s late February or early March, and it seems there just isn’t an end of winter in sight. I don’t know whether that was the idea, but this mood is conveyed perfectly. 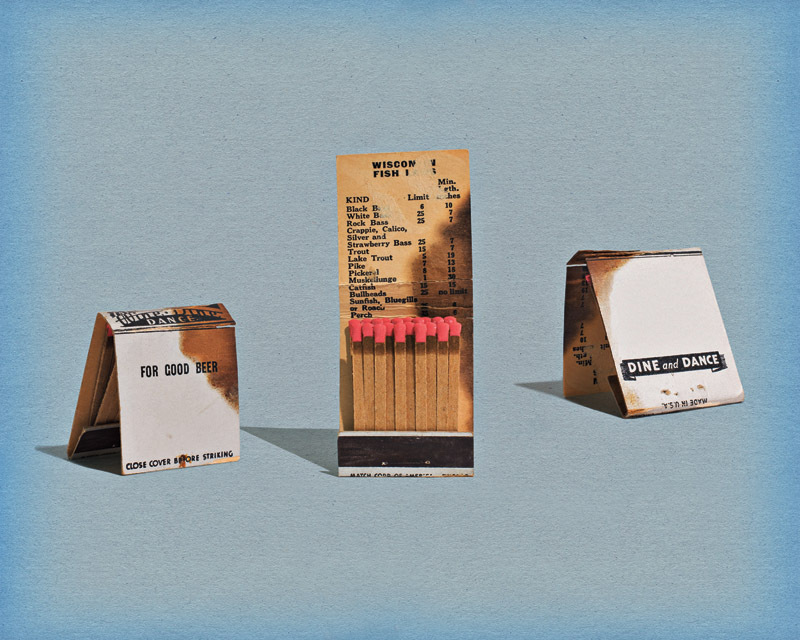 For Bottom of the Lake, Christian Patterson employs the same strategies that made Redheaded Peckerwood such a success, mixing all kinds of photographs. Unlike in the earlier book, here things fall a little flat for me. A portrait of sort of Fond du Lac, Wisconsin, the photographer’s home town, the book leaves the viewer hanging. Maybe with this approach to photobook making you need a stronger narrative, or maybe you need more material. Lastly, there’s Wolfgang Tillmans’ Utoquai. I’ll be completely honest and admit that the appeal of this photographer’s work has quite successfully eluded me ever since I saw the first pictures. Utoquai hasn’t made me change my mind. But that’s part of the beauty of the subscription series: You buy the package (you can’t get individual volumes out of a series), meaning in all likelihood there will be one or two books you wouldn’t have bought or looked at otherwise. Even if that means you’ll get a book that you really wouldn’t have bought (like Tillmans’ in my case) you still spend time with it, to see what it has to offer. And there always is something expected and something surprising. Making a book with Paul is a strange challenge, given that within the parameters of the book (number of pages etc. ), a photographer can do whatever s/he wants as long as it’s a bit outside of the box. For photographers, this is a liberating and stressful challenge: You get to be a bit free, but your little game is going to be released into the world, to last a long time. I personally always find it very interesting to see how daring photographers are: How far outside of their own comfort zone are they willing (or able) to step? With the subscription series, Paul Schiek is thus making us reconsider what we can expect from a photobook. Getting one of these books in the mail means getting a solution to the challenge posed by him to four well-established artists. Their solutions can be quite unexpected. They always have be, and they certainly are, yet again, with series 4.